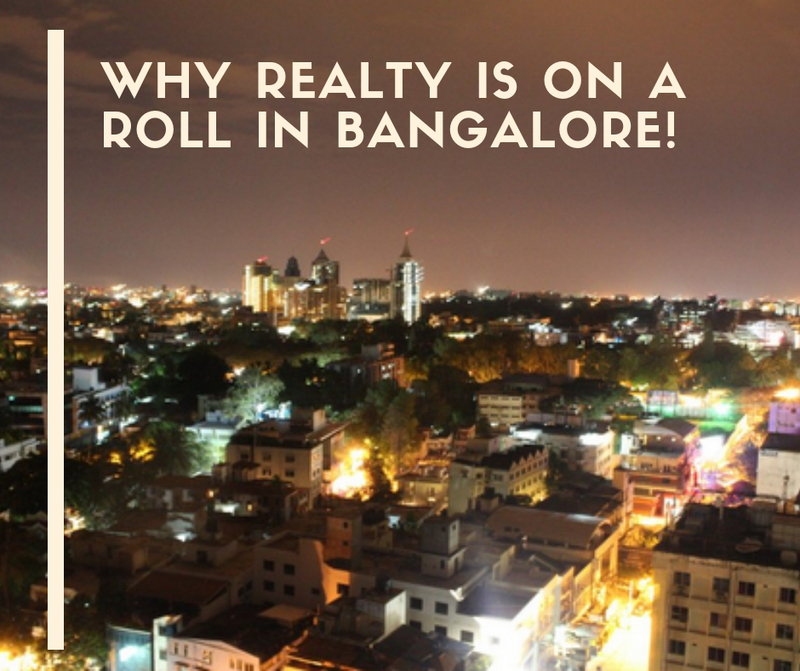 Why realty is on a roll in Bangalore! The strong dynamics of IT/ITes sector and other industries have been thrusting forward with great pace. This has led to a great demand for a buzzing realty sector in the city that has been expanding and -evolving rapidly. Even in the so-called slow-paced times, the market has grown by 9-10 percent, which is quite remarkable. The resilience of the city’s realty horizon shows that the need for homes and offices here is at a high. The city is a preferred destination for many migrants as well, as the educational and employment opportunities here are quite wonderful. The lifestyle here is modern and global in its outlook, and hence the city is attracting a number of well-educated professionals. Few areas in Bangalore are more promising than other. One such area is Sarjapur Road. This is towards the south-east direction of the city. This area has seen investors like Infosys and Azim Premji Foundation acquire huge pools of land here for IT-based development. This area is well-connected and is a bit away from the urban chaos. Many reputed offices and residences are coming up here. The infra is also getting a big boost. Hence this is a hot destination for a lot of realty activities. In fact, it is coming up as one of the 10 best places In Bangalore that are affordable and yet grand. There are many reasons to invest in this area. ORR is the lifeline for smooth connectivity to this once-inconspicuous suburban are of Bangalore. The prices of land are lower here, and that is why since 1990’sSarjapur Road has seen huge investment from IT giants. Hence, when you set your eyes on employment opportunities, there are many offerings along here. This means a property here has huge capital appreciation and rental potential. The upcoming metro, the world-class educational institutions, well-developed social infra, and many reputed projects are reasons to make this a great place to invest in. A project worth mentioning is the Shriram Smrithi coming up on Sarjapur Road. This is a grand and affordable housing project. The abodes here are 2 and 3 BHK apartments, and are extremely comfortable. Their sizes range from 1150 sq. ft. to 1350 sq. ft. The external amenities would put a resort to shame indeed! Themes Aroma, Zen, Rock Gardens, cascading waterfalls, and lot of fitness and recreational facilities make this a secure and blissful haven!